Central Glass Chicago is a full service glass company that manufactures and installs custom frameless glass shower doors and specializes in euro shower doors, frameless shower doors, and custom glass shower doors for Chicago and Suburbs. We also produce custom mirrors, mirrored walls, and full glass shower enclosures. We carry a large variety of framed as well as frameless shower doors installed in either 3/8" and 1/2" glass, and back it up with a 10 year warranty. Central Glass Chicago is a full service glass company that manufactures and installs custom frameless glass shower doors and specializes in euro shower doors, frameless shower doors, and custom glass shower doors for Chicago and Suburbs. We also produce custom mirrors, mirrored walls, and full glass shower enclosures. We carry a large variety of framed as well as frameless shower doors installed in either 3/8" and 1/2" glass, and back it up with a 10 year warranty. If you are looking for frameless shower doors, you came to the right place. Shower door is one of the primary use of glass. All hotels and luxury houses have frameless shower doors, but In recent days it becomes popular for homes. shower door nyc has the experience and technologies to fabricate and decorate frameless shower doors. Frameless shower doors New York can be fabricated from different glass types, colors and patterns. glass shower doors are no longer just glass. If you are looking for frameless shower doors, you came to the right place. Shower door is one of the primary use of glass. All hotels and luxury houses have frameless shower doors, but In recent days it becomes popular for homes. shower door nyc has the experience and technologies to fabricate and decorate frameless shower doors. Frameless shower doors New York can be fabricated from different glass types, colors and patterns. glass shower doors are no longer just glass. Full service flat glass company located in Lake Wales, Florida. Products include glass, mirrors, acrylic, aluminum, and other allied materials. Established in 1958, RGM has operated from the same location for over 50 years providing prompt, professional service to Lake Wales and surrounding communities in eastern Polk County. Full service flat glass company located in Lake Wales, Florida. Products include glass, mirrors, acrylic, aluminum, and other allied materials. Established in 1958, RGM has operated from the same location for over 50 years providing prompt, professional service to Lake Wales and surrounding communities in eastern Polk County. Located in Manalapan's Galeria Plaza, Showerman is a manufacturer, installer and designer of shower door enclosures and mirror walls. With more than 35 years experience in the industry, Showerman additionally specializes in custom glass work, glass etching, designer mirrors, glass table tops and more. ShowerMan uses the highest quality products including Shower door hardware and offers an unprecedented warranty on products and services. Located in Manalapan's Galeria Plaza, Showerman is a manufacturer, installer and designer of shower door enclosures and mirror walls. With more than 35 years experience in the industry, Showerman additionally specializes in custom glass work, glass etching, designer mirrors, glass table tops and more. ShowerMan uses the highest quality products including Shower door hardware and offers an unprecedented warranty on products and services. At Shower Door of Canada, we manufacture and install everything from glass showers and bathtub enclosures, to custom trackless sliding shower doors, glass shower doors, and glass stair railings. Browse our site to get bathroom renovation ideas or call (416) 781-9833 to learn more! At Shower Door of Canada, we manufacture and install everything from glass showers and bathtub enclosures, to custom trackless sliding shower doors, glass shower doors, and glass stair railings. Browse our site to get bathroom renovation ideas or call (416) 781-9833 to learn more! Superior service and glass for any project are two benefits that establish Chicago Glass and Mirror as a leader in glass for showers and bathrooms. Whether you are redesigning your bathroom at home, you are a designer in need of custom mirrors, or you are a contractor that needs a shower door that fits just right, come speak to a friendly Chicago Glass and Mirror associate about your unique project. Superior service and glass for any project are two benefits that establish Chicago Glass and Mirror as a leader in glass for showers and bathrooms. Whether you are redesigning your bathroom at home, you are a designer in need of custom mirrors, or you are a contractor that needs a shower door that fits just right, come speak to a friendly Chicago Glass and Mirror associate about your unique project. American Mirador is the most reliable and cost effective source for shower doors, closet doors, wood doors, windows, cabinets doors, store front glass, and custom cut glass. We source all our products locally if available and American made. So rest assured you’ll have quality built and locally supported products in your home. American Mirador is the most reliable and cost effective source for shower doors, closet doors, wood doors, windows, cabinets doors, store front glass, and custom cut glass. We source all our products locally if available and American made. So rest assured you’ll have quality built and locally supported products in your home. 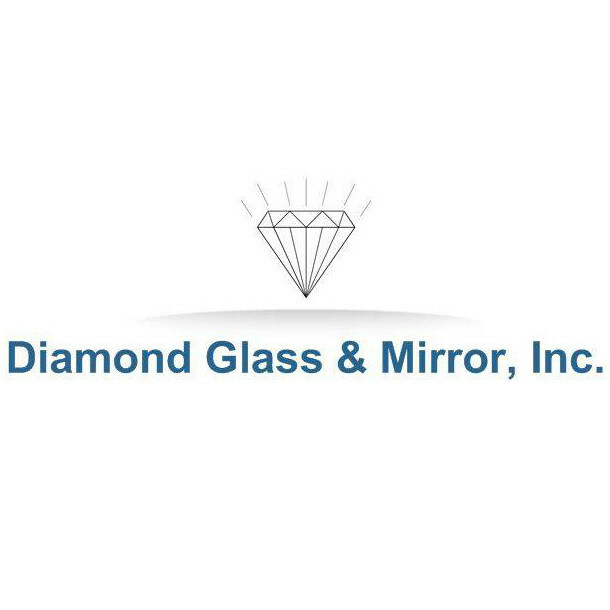 Diamond Glass and Mirror has been serving the Phoenix area with the highest quality Shower doors for years. Call us today for all your Shower needs. Diamond Glass and Mirror has been serving the Phoenix area with the highest quality Shower doors for years. Call us today for all your Shower needs.